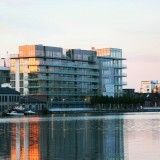 ‘The Waterfront’ forms part of a mixed use Residential, Office and Retail Development located within Grand Canal Dock. The Development is laid out around a landscaped central courtyard. 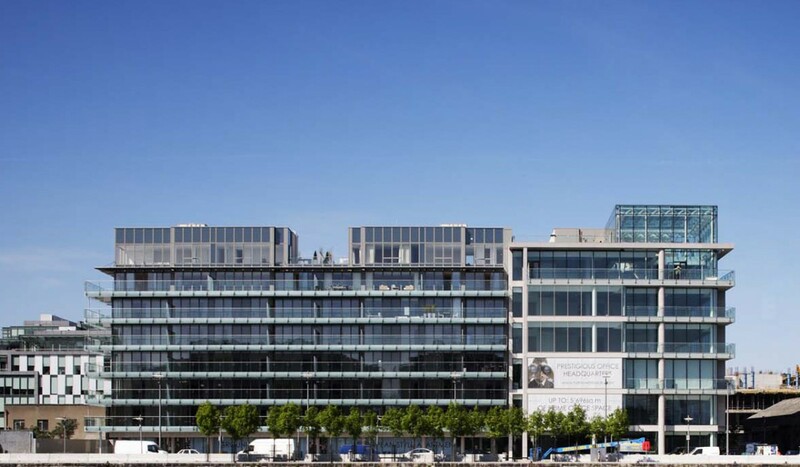 The Office Building is 6 storeys high and forms a C-shape at the eastern end of the site. 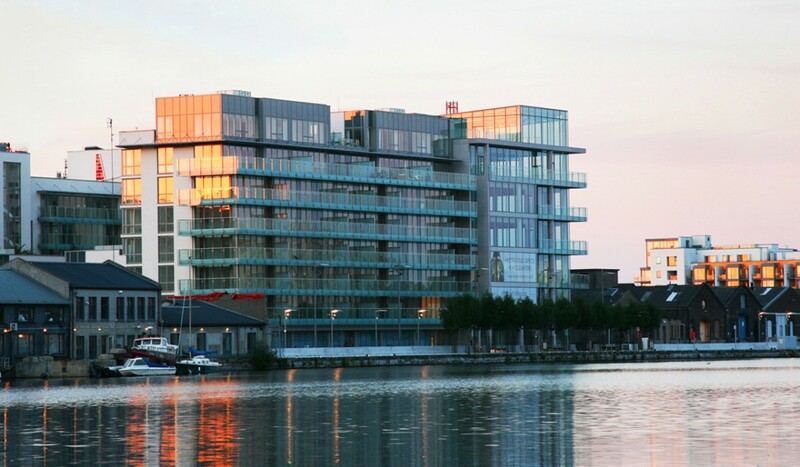 The south block is predominately 8 storeys high and faces Hanover Quay and the Grand Canal Dock. The north block is predominately 6 storeys high and faces the site of the proposed Chocolate Factory Park. 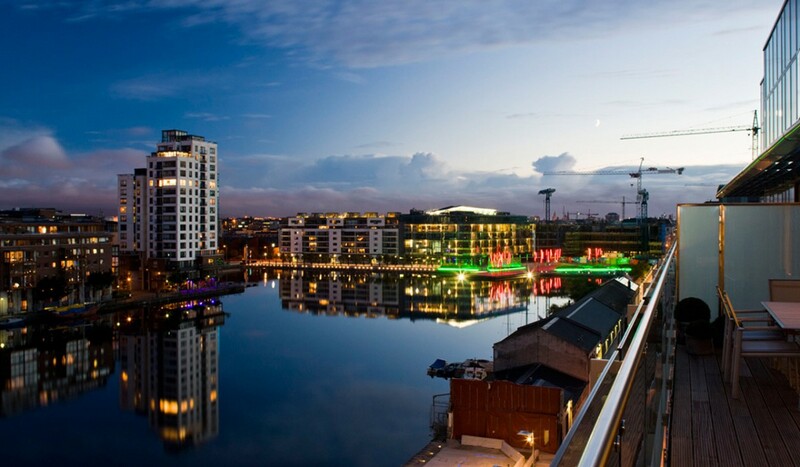 Materials to the residential buildings are as follows: facades facing the public streets have full height glazed aluminium screens with sliding doors giving access to continuous cantilevered balconies. 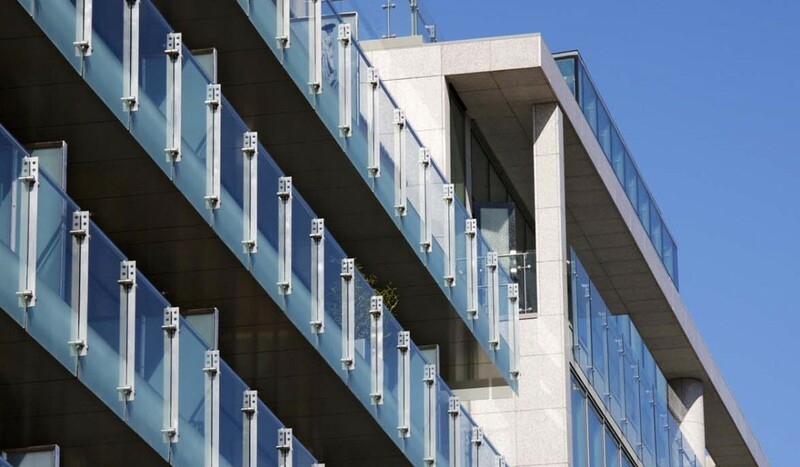 The balconies have glass and stainless steel guarding. Balcony soffits are clad with aluminium panels. Facades to the communal courtyard are finished with a pre-coloured render. 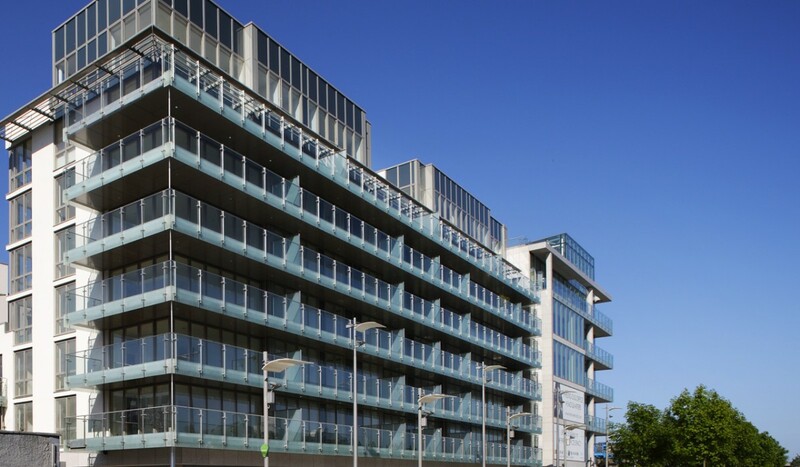 Finishes to the office building are aluminium curtain walling with stone feature elements.